New Frontiers in Artificial Intelligence | Free eBooks Download - EBOOKEE! 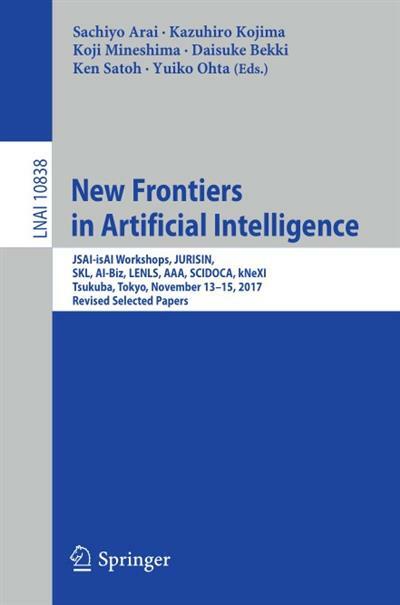 This book constitutes extended, revised and selected papers from the 9th International Symposium of Artificial Intelligence supported by the Japanese Society for Artificial Intelligence, JSAI-isAI 2017. It was held in November 2017 in Tokyo, Japan. The 22 papers were carefully selected from 109 submissions and are organized in sections on juris-informatics, skill science, artificial intelligence of and for business, logic and engineering of natural language semantics, argument for agreement and assurance, scientific document analysis, knowledge explication for industry. No comments for "New Frontiers in Artificial Intelligence".